#119. Venice at Sunset. 22 x 32, oil on canvas. "Gilbert Munger" lower left. 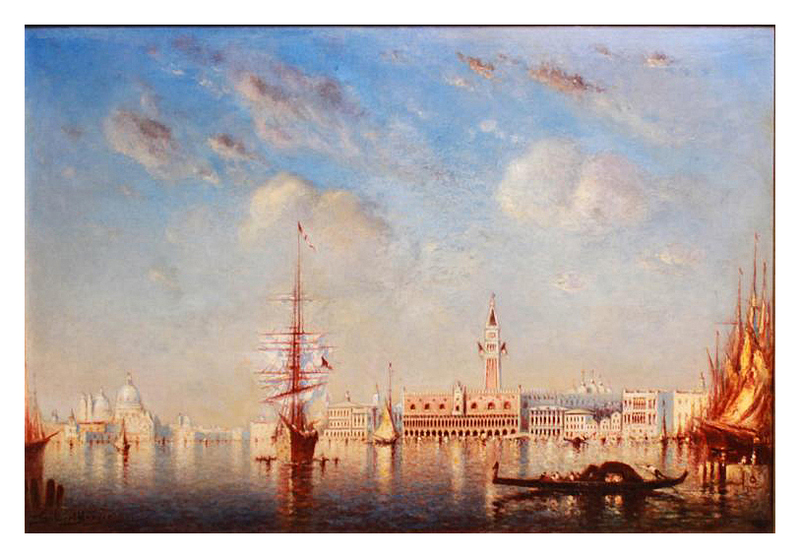 Munger painted many scenes of Venice on his three-month visit there in the fall of 1882. In September he wrote from there to a friend in St. Paul MN: "I have finished fifty pictures, and hope to return (to London) with sixty." 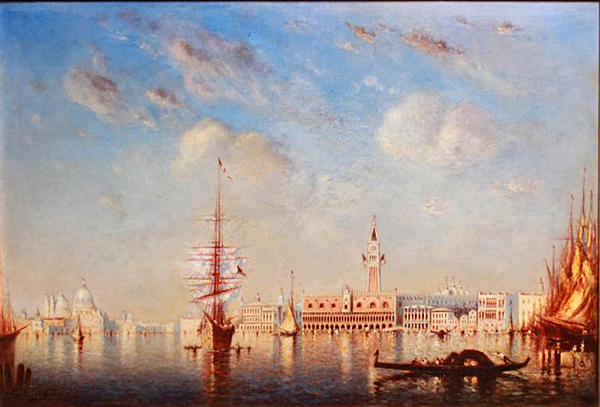 Later in life he remarked that he continued to paint Venice scenes from his sketches for recreation. This painting sold for FRF 22,000 ($3484) at the Ader Picard, Paris, auction of 18 Oct 1989, lot 107 as "Venise, trois-mats sur le grand canal". It sold at the Showplace Antiques + Design Center, NYC, auction of 3 Mar 2019 as lot 99 for $4,250 + 20%. Image from Showplace Auction + Design Center auction web site.